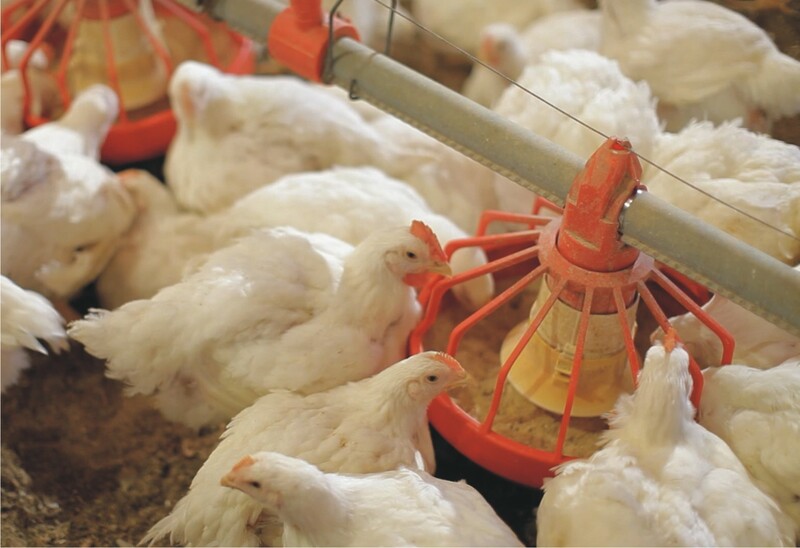 In modern intensive poultry production systems, feed cost represents about 70% of the total production costs. After energy, protein represents the second costly nutrient in poultry diets. Typical commercial broiler diets contain 23.0, 21.0, and 19.0% crude protein during the starter, grower, and finisher periods respectively. 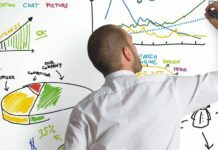 However, the recent broiler dietary specifications indicate that these levels of crude protein arein excess to that of the actual requirements. The excess of absorbed amino acids aredegradedinliver and converted to uric acid, which is then excretedout via kidney through urine.This degradation of excess protein/amino acids has some disadvantages such as unnecessary increase in the diet cost, which lowers the producer’s profits, overload on the bird’s kidneys and excess nitrogen excretion in the manure, which increases the ammonia concentration in the poultry’s internal environment, as well as increases the emission of nitrous oxide into the atmosphere to cause environmental pollution. 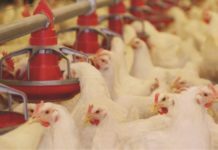 Research finding indicates that poultry feed should contain a balanced level of essential amino acids in addition to adequate level of crude protein to supply the bird with optimum requirements with respect to non-essential amino acids as well. Once the bird’s essential amino acid requirements are met in an ideal pattern, the crude protein level could be lowered by 1-1.5% without hindering the bird’sproductive performance. To formulatebalanced diets for broilers, we need to supplement the diets with the syntheticamino acids, which are available in commercial form such as Dl-Methionine, L-lysine, and L-threonine. L-Valine, and L-Tryptophan. Typical commercial poultry diets usually contain Dl-Methionine and L-Lysine. By lowering the crude protein level by 1-1.5% we should supplement the diets by Dl-Methionine, L-Lysine, L-threonine. With further lowering in the diet crude protein we should add L-valine and L-Tryptophan. Methionine, the essential amino acid, is the first limiting amino acid in poultry diets. Methionine content in raw plant materials particularly soybean meal is insufficient, therefore, a commercial synthetic methionine must be added to poultry feed. Lysine is the second limiting amino acid in corn-soybean diets in poultry. Corn is low in lysine, therefore, to meet the lysine requirements for poultry, high-protein ingredients such as soybean meal and animal by-product meals are mixed with corn. However commercial synthetic L-Lysine becomes available at economic price, which help in lowering the protein requirements and improving the profitability without loss of feed quality. L-Threonine is the third limiting amino acid in most poultry diets. The commercial form of L-Threonine become available at reasonable price and provided the nutritionists with a tool that allows them to economically balance dietary protein and meet the amino acid requirements of today’s high-yielding birds. 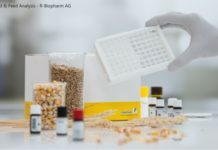 With further research and refining, the commercial availability of L-Valine and L-Tryptophan could allow the nutritionists to balance the amino acid content of poultry feeds and meeting the amino acid requirements of the high-yielding birds without causing an imbalance in other amino acids, and significantly reduce the nitrogen excretion in the environment through further reduction in the crude protein level.